The term co-addict was created by Bill Wilson’s spouse. In case, you’re not familiar with him…he was the founder of the original 12-step program, Alcoholics Anonymous. Bill’s wife found that family members that are involved with an addict can become so consumed with helping their loved one that their behavior is eerily similar to the addict’s behavior. In essence, the co-addict is addicted to the addict. While the addictive behavior may be out of the family’s control, what they CAN control is their response to it. 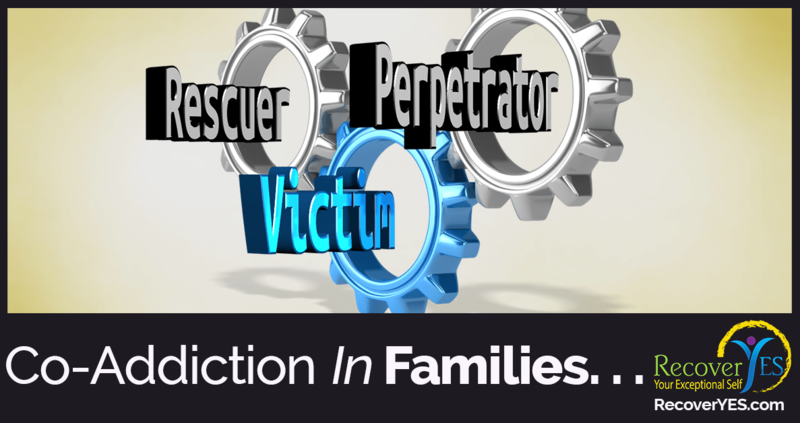 The co-addict family member knows that the addiction is active and thinks that something they do will change the addict’s behavior for the better. The family member assumes the role of the rescuer and enabler. Can you really turn a blind’s eye to the addictive behavior or addict? Ignoring the behavior or problem isn’t an effective response for the addict or co-addict…and it’s not what we are suggesting. In many ways, the co-addict’s issues are as, if not more, difficult to solve than the addicts. A co-addict typically struggles with codependence. We think of codependence as the root addiction. Most addictions develop to cope with symptoms that are factors in codependence. The codependent develops what we call a pseudo-self that they believe will be more acceptable to the other humans they interact with. It’s often thought of as people-pleasing but is taken to an extreme. Codependence easily turns into co-addiction. 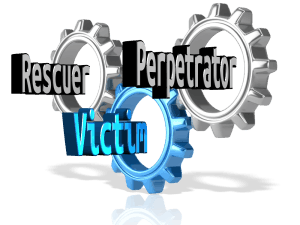 The rescuer role is not healthy. The codependent is more concerned about another person than they are about themselves. They have bought into the illusion that some other person needs to change their behavior for their own life to improve. 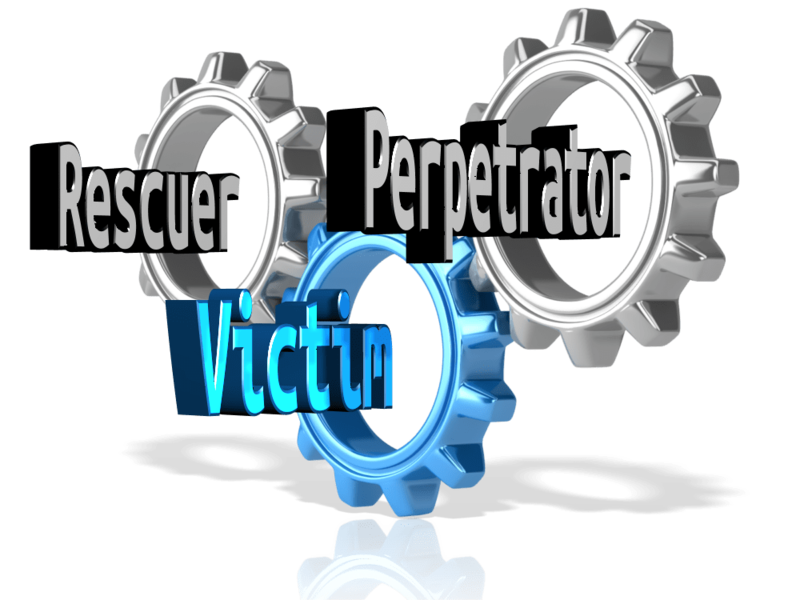 Codependence faced with dealing with an addict easily develops into co-addiction. There are a number of books that we recommend to expand your understanding of codependence. The one that is most often referred to is authored by Melody Beattie. It’s 20 years old now but the concepts are just as valid today. Differentiating between healthy family caring and involvement and co-addiction can be tricky. It’s important to accept that co-addiction is doing nothing more than enabling the addict and is likely to be making matters worse. Your fears are legitimate though. Withdrawing support (most likely financial) might worsen the problem in the short-term, but most addicts have to hit the point of no return (sometimes referred to as bottom) before they get serious about recovery. The addict should know that you care about them…that you love them…but you cannot support their addictive behavior. When they’re ready to stop the addiction, you can be counted on (with conditions). You will not support the addictive behavior financially or otherwise. We suggest you seek professional help to facilitate this communication. You can’t help anyone else until you first help yourself. Here are a few questions to ask yourself to help you identify co-addiction in your family. If the answer to some or all of these questions is Yes, you are a co-addict. The addict that you are so desperately trying to help is not suffering the full consequences of their behavior. The addiction is being supported by you and allowed to continue. While all codependents are not addicts, it’s important to know that we’re yet to see an addict that beneath the addictive behavior is not codependent themselves. So, you’re not alone. And, the family system that’s been created and reinforced for many years keeps the dysfunction functioning. 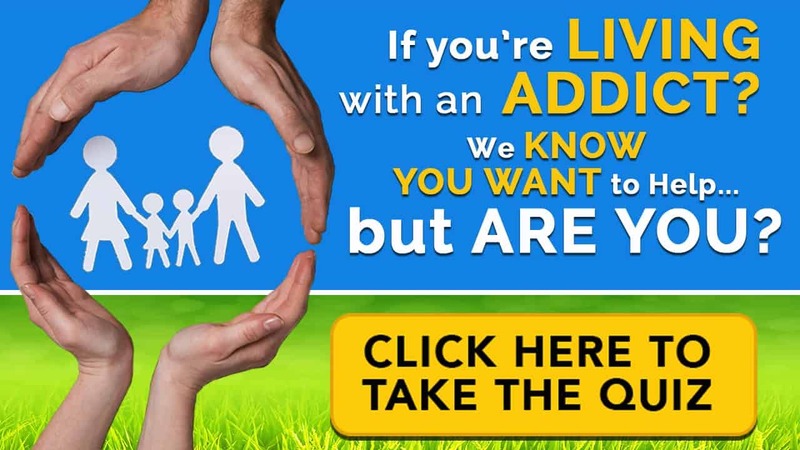 If you have a problem with codependence AND have a close family member who is dealing with addiction, you are a co-addict. And, this is one of the trickiest addictions or afflictions to heal. 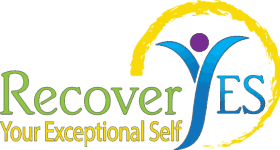 We’ve created our own “label” for co-addicts that are in recovery. To us, you’re a Recovery Stakeholder. We get it…you’ve got a lot at stake. It is possible to cure co-addiction (just like any affliction), but as a human in this world breaking the chains of codependence is not likely to be popular with those closest to you. Codependent behavior is revered. So, healing codependence requires an iron will that rivals the will necessary to heal any addiction. It is extremely challenging. It may not be easy but it is absolutely critical for the addict and yourself. 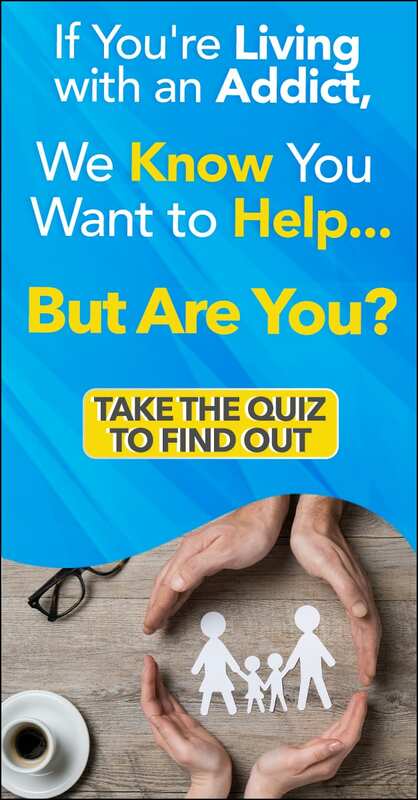 If you are enabling an addict, you are a co-addict. You have your own problems to address!